Rick Green, partner with David Barton’s Wallbuilders recently came through Honolulu and spoke at a few churches. They are a very entertaining and dynamic duo. Both of their names are on the Wallbuilders websites and podcasts so what one does, the other is a partner or an accomplice to. Typically Barton does the heavy teaching and book writing while Rick Green defends David Barton from critics. This is why I like to refer to Green as the consigliere. It is tongue in cheek and I mean no offense by it. I am not saying Barton and Green are in in the mafia. It is the way I prefer to describe their relationship. I have been a subscriber to their podcast for a while. I have friends who really like them although I can’t say I am a real fan. They just lose me with their associations and arguments that just make me very uncomfortable. I will explain why. In a nutshell David Barton is a Christian Dominionist. There is no need for me to do a complete study on them or what they teach. Hal Lindsey has been a highly respected teacher since the 1970 book “The Late Great Planet Earth”. Hal Lindsey is one of the last of a generation of heavy duty bible teachers which includes Walter Martin and other SOLID and MORE NOBLE teachers in accordance with the book of Acts 17:11. Hal broke it all down in the 1989 book called The Road to Holocaust. Hal has not changed his tune much since then. A recent video is up on hallindsey.com where he breaks down Christian Dominionism again for us. Dominionism, also known as “Kingdom Now” or “New Apostolic Reformation” (NAR) is theologically all over the map but what they all seem to agree on is this. They all want to implement a conservative “Christian” government that will rule over the rest of society at any cost and are willing to get in bed with anyone else who agrees with their new and improved, baseball, hotdog, easy to swallow frappuccino version of history, religion and politics. Hal Lindsey and I agree, Dominionism is NOT what the Bible teaches. According to Hal Lindseys book, Dominionism eventually leads to anti-semitism which will eventually bring you face to face with heresy. It is in fact just as Hal Lindsey warned, “The Road to Holocaust”. Before I switch gears, the NAR or Kingdom Now pied piper of our day is Lance Wallinau with his “7 mountains mandate”. Barton and Green seem to do a real good job keeping their noses clean from any direct relationships with the heretics HOWEVER. Right Wing Watch has an audio clip of David Barton and his consigliere Rick Green AGREEING and ADVOCATING with the 7 mountains heresy taught by Lance Wallnau. The link to the audio can be found in this article here, David Barton Advocates Seven Mountains Dominionism. It appears Right Wing Watch has the evidence. If the evidence is wrong, Barton or Green are free to send me their answer directly. I would be more than happy to post their rebuttal to this otherwise clear audio. I cant make it any easier to understand. Most of our churches teach the “End Times” will involve an anti-Christ, tribulations, a rapture, and a second coming of Jesus Christ. Wallnau, and the Kingdom Now camp, not only reject traditional pre-milennialism, (not a heresy itself I know that) they go much further and teach that Christians need to take dominion over their areas of influence while “shaking what is happening on earth and take dominion”. They eventually go out and attack others who teach otherwise. Lance Wallinau attacks Hal Lindsey in this example. This is not what my church has taught me so it’s a bit of a surprise when I see fellow christians, pastors and many others eating this stuff up. The bible I have read and the pastors I have known have taught me to 1) study the Word of God, 2) preach the Gospel, 3) fellowship and 4) pray daily. Not any of the rest of this nonsense. To add insult to injury now I have been personally attacked for daring to bring this up with a trusted friend. I have been accused of “slander” and not doing MY RESEARCH and have even been threatened that I am speaking out against anointed “men of God”? Are you kidding me? What is this? The Church of Scientology? I don’t mind if we have friendships with people that believe differently than us. Please go right ahead and continue to have weird friends. I do it! Some of my best friends are into many beliefs other than traditional Christianity. I love these friends of mine, but I will not let them teach me or my children their false doctrines. These guys lose me almost right away with their silly beliefs about our founding fathers but it gets much worse. David Barton oversees Keep the Promise PAC which is supporting Sen. Ted Cruz’s presidential bid into the many multiple tens of millions of dollars. Through his PAC, David Barton sponsors HUGE rallys for Ted Cruz where he appears with the devout Mormon and former Fox News blow hard Glen Beck. As a matter of fact, just a few days ago, Glen Beck announced that Ted Cruz is Fulfillment of White Horse Mormon Prophecy’. Before I continue, allow that to sink in for just a minute. I really want to keep this short so ill just quickly point out one last video, that according to the title, “David Barton wants to disciple you”… along with his friend, the high prince of false and apostate teachers, the blasphemous health and wealth pope of prosperity Kenneth Copeland. How many Kenneth Copeland videos do I have to watch to know this is wrong? I’ll give you the answer the number is ZERO. Go ahead and accuse me of a guilt by association fallacy or throwing the baby out with the bathwater but I don’t care. This stuff will not fly in the persecuted church or the underground church. It is for gullible Americans, nothing more. This proves at a minimum a severe lack of discernment from David Barton. Maybe someone else can find the stomach to dig through the trash and find a gem or two or a smoking gun in these Kenneth Copeland videos but I am going to move along. These guys are at a minimum just a “little bit off” and I don’t want them or others like them (General Jerry Boykin etc cough cough) teaching me, my pastor, my wife, my friends or my kids. September 11th 2001 became forever remembered as “911″. The London Subway attacks will always be remembered as “7/7″. 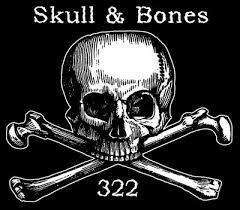 Well it is still too early to know for sure but I have to wonder if the Brussels attacks will be remembered as “322″. (3/23 AM Update) No other mainstream news sources seems to have caught the 322 oddity. I guess I am fringe. Charisma Magazine has asked some interesting questions. I am not one of the pre-loaded “false flag” crowd. I don’t jump to conclusions like that but the date and timing of this event does not appear to be random. As I have said many times, I am an evidence guy. Show me your evidence first. Terrorists are perfectly capable of blowing up all sorts of places including airports and subway stations, and they like using dates and times as their signatures. I am not sure when ISIS Jihadists adopted 322 as their signature but apparently it is the date they chose to attack the EU Headquarters. Here are a few other observations I made today. 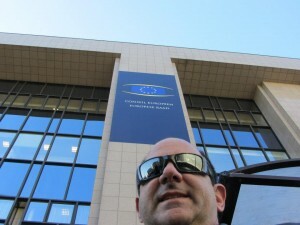 Me at the EU Building just a few blocks from Maelbeek subway station in 2011, click for full size! I have walked down the Rue in Brussels, Belgium where the Maelbeek Subway station is that was bombed today. I knew exactly where it was. 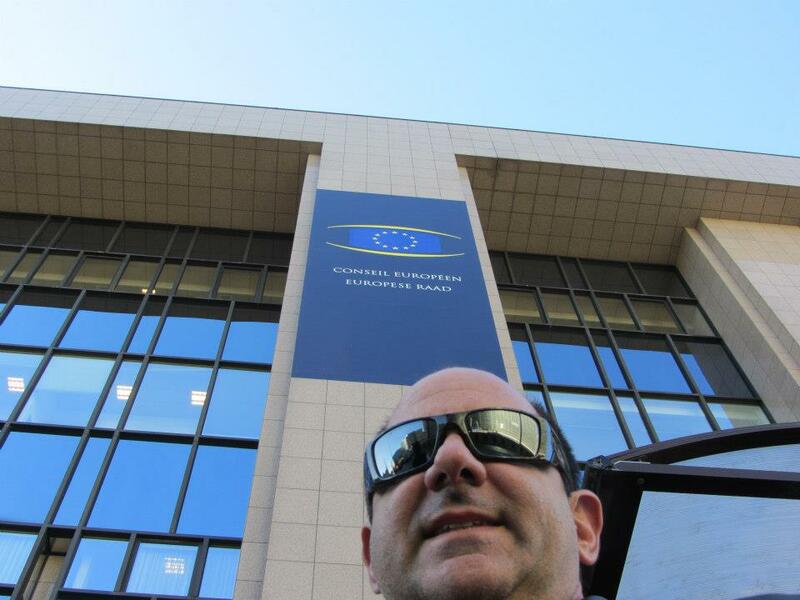 Just outside of the Maelbeek train station is the EU building. The geography is significant. This would be tantamount to bombing a subway station in Washington DC one block away from the White House or Congress. Next, Hal Lindsey and Dave Hunt have always taught that bible prophecy would be centered around a “Revived Roman Empire” European anti christ person that would arise from inside these very buildings. 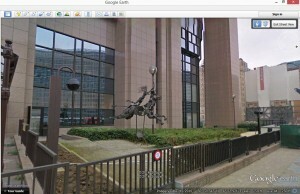 I went “street view” on Google Earth and showed my wife the statue in front of the Berlaymont building, (EU Headquarters) just to the East of the Maelbeek Train station that was bombed. 1 Woman riding the beast statue, Check! Now this is where it gets weird. ISIS theologians teach that their Mahdi will come when “the armies of Rome” attack them in Dabiq, Syria. Are ISIS jihadists attempting to rope or snare the armies of Rome into a war? Many before me have already proposed they must do exactly this or their theology crumbles. Is what we are witnessing a bit of a competition here? The Muslims that want to be the antichrist have attacked the Romans that want to be the antichrist? Sounds like a warm up to Daniel Chapter 12 if you ask me. Who will be the real rider on the white horse? I’ll tell you one thing it is not going to be Ted Cruz I don’t care what Glen Beck scribbles on his chalkboard! How does it all tie together? I don’t think any of it really does except possibly in the grander picture of good versus evil. The fact of the matter and what the evidence is showing today is simply the furthest thing from what the dominionists believe! I’ll throw my hat in with Hal Lindsey on this one. To wrap it up, and I know I have been all over the place tonight. Do you want to avoid dominionists and emergent church doctrines from creeping into our churches? Would you like to be safe from falling for bogus teachers and bringing dirty politics into our sacred sanctuaries? I would like to suggest this. How about we do what the church did in the book of Acts. 1) continue steadfastly in the apostles doctrine 2) fellowship with other believers 3) breaking of bread 4) Prayer and if I may I add #5) sharing our faith. Pastors if you say “I just teach the Word of God” then mean it. We don’t want to be entertained by our churches. We want to be fed and taught and have a place of sanctuary. Pastor Chuck Smith nailed it in one of his final warnings to the CCOF (private pastors only email list) and this document has been circulated somewhat publicly since. 2 Peter 2 says But there were false prophets also among the people, even as there shall be false teachers among you, who privily shall bring in damnable heresies, even denying the Lord that bought them, and bring upon themselves swift destruction. 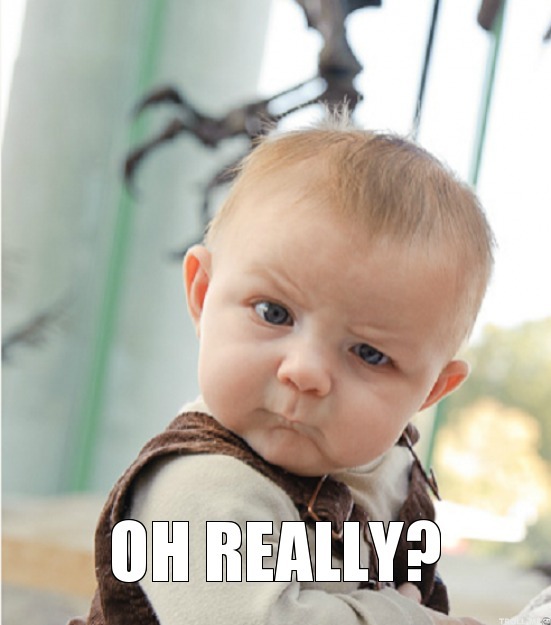 When I read 2 Peter it says they SHALL BE and SHALL BRING not might be or might bring or possibly bring, or bring somewhere else to the church down the road, but not bring to us. It says SHALL BRING. Does everyone see the seriousness of this warning? Be careful teachers. Be careful Christians. This is not a game. The time is short. We just need Jesus. We don’t need distractions and entertainment. Our world is lost. Politics is NOT the answer to our problems. Jesus is. We should be showing our friends and family the way, not trying to get them to think our church “is cool” or relevant. Jesus is all we need. Try sharing Ken Copeland or David Bartons books and videos with anyone in the persecuted or underground church. They will just give you blank stares. An excellent video has come out from behind the islamic curtain and the underground persecuted church. I recommend watching this one to everyone. Grab a beverage of your choice and prepare yourself for a little perspective. This entry was posted in Celebrity Evangelism, Christianity, Emerging Church, Global News and tagged Heresy, Kenneth Copeland, Wallbuilders on March 23, 2016 by mikeuslan.